At Wall 2 Wall Restoration in Greenwood, our primary goal in mold remediation is to determine what the root cause of the mold damage is. Our technicians work to identify the source of moisture that is allowing the mold to grow, determine how bad your mold problem is, and then fix the problem via a professional mold removal service. 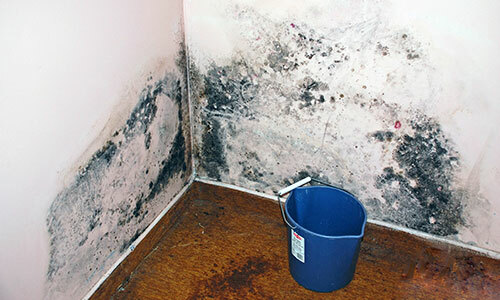 Mold is a naturally occurring fungus that is present everywhere in nature, including your house. When normal mold levels become out of balance, health issues and structural decay will begin to wreak havoc on your home or business. Call Wall 2 Wall Restoration (479) 343-1595 for a mold remediation service. Identify the source of the water damage or moisture problem and fix it. Assess the size of the mold problem and note type of mold-damaged materials. Do not attempt to clean or remove mold with bleach or other biocides. Bleach does not get rid of mold. It just removes the color and hides it. Do not touch mold or mold-damaged areas with bare hands, as this will cause it to become airborne. Do not turn on fans where mold is present. Do not disturb the mold or structural materials containing mold. This will cause mold spores to escape into other areas of the structure and potentially cause even more mold damage. When you call Wall 2 Wall Restoration, we will bring in a professional industrial hygienist to test and sample the air and mold within your home or business. The sampling will then be sent to a lab to determine the type of mold and how it has affected certain areas in the structure. The industrial hygienist, along with our team at Wall 2 Wall Restoration, will develop protocols and identify the scope of the mold cleanup project to effectively rid your property of all mold and mold spores, and to ensure that it is safe to live or work in. Since mold travels via air flow, it is vital that the area where mold remediation is taking place is properly contained, and that negative air flow is maintained to ensure that mold spores do not travel to other areas of the structure. Porous, mold, or sewage-contaminated materials will be removed, placed in plastic bags, and disposed of properly during our mold removal process. Proper documentation of any materials will be conducted for potential insurance claims. Carpet and padding in affected areas will be removed, along with drywall/sheetrock and insulation. The remaining non-porous materials will be HEPA vacuumed to remove visible mold. Specialized mold remediation equipment and chemicals will be utilized to clean and remove remaining mold and mold spores. The final step will be to HEPA vacuum the flooring remove any remaining dead mold spores. Finally, a post-clearance mold testing will be performed by an independent, third-party industrial hygienist to ensure that the home or business is safe to inhabit once again.